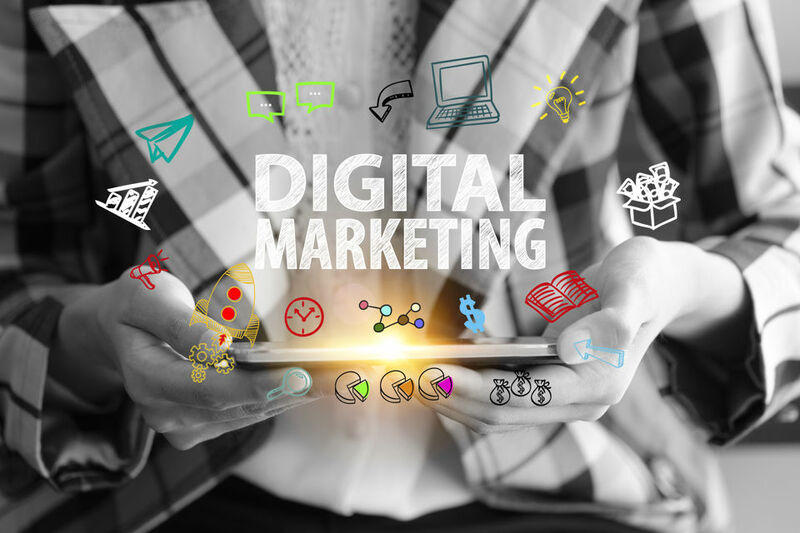 Gone the days when the traditional form of marketing was the only way to popularize your product or service, but in the recent years marketing has undergone a lot of changes, and digital marketing has replaced the traditional form of marketing entirely. Check what Hubspot says about Digital marketing. Digital marketing is a form of marketing that offers you a lot of advantages when compared to the traditional way of marketing such as it is cost-effective, results can be easily measured, is cheaper, and it requires less time to market your product or service. So if you want to learn Digital Marketing and you are located in Chandigarh, then checkout Webliquidinfotech. People have very positive Reviews about them and about their Faculty members. More and More enthusiastic youngsters are interested in learning Digital Marketing, the reason being it is easy, you don’t have to opt for the door to door service, you can merely market your product or service through the internet and can see useful results in a short span of time. The world is becoming digital. People are consuming electronic content faster every day. Companies small or big have now realized the significance of going digital, and it is crucial that departments adapt quickly to the new circumstances and actively hire professionals in the field of digital marketing. So What Digital Marketing is all About? It is the promotion of products or brands via one or more forms of electronic media. It is crucial, not only because of its rapid growth but also because it is mostly the future of marketing. With such growth of Digital Marketing, people have now started to think that traditional promotion will soon be replaced entirely. Why embrace Digital Marketing for Educational Institutes? A study released by eMarketer demonstrates that the education sector is one of the top industries in the world using social media as part of their overall strategy. Over 72%of respondents in the education industry said they presently implement social media strategies in their daily marketing activities. 17% of institutes said they are planning to add social media to their marketing programs. According to another survey done by marketingcharts, average 18-34-year-old college student owns 7 tech devices. The laptop computer is the commonly held device, by 85% of the college student population, with smartphone penetration nearing 70% and tablets (36%) more widespread than cell phones (33%). Video game consoles are gaining two-third popularity. What conclusion could be drawn from these two statistics? You need not be a data scientist to understand the prominence of targeting customers using the devices they use. All you need a good digital strategy to target your message to your defined customer base. Let’s have a look at why the Future in Digital Marketing is Bright. The technological and innovation progressions we have encountered during the last one decade certifies that the future of digital marketing stays bright. Digital Marketing is gaining so much popularity that shortly ‘Digital Marketing’ to become just ‘Marketing’. Before you raise your eyebrows on this statement, let me tell you, we are trapped by digital technologies such as smartphones, tablets, smart TVs, smart cars, and now even smart homes. At this moment, companies, organizations, non-profit organizations, and communities are spending a vast sum of money to target, entice and engage their audience. Therefore, this can be the primary reason to learn Digital Marketing, as it is definitely ‘The Marketing’ of the future. Digital revolution will take India’s internet users from 374million (28 percent of the population) in 2016 to 829 million (59 percent of the Indian population) in 2021, global networking giant Cisco. Everybody is online these days. Individuals are spending more time online than that watching the television or tuning in to the radios. Today, more than300 million Indiansare using the internet on a day-to-day basis. During the last 2 years, the amount of those using the internet, even those in the age group of fifty-five plus has extended by almost eighty percent. Concerning the young population, the numbers are altogether liberal. This trend of people using the internet is going to grow and adds to the bright future of digital marketing. Digital marketing does not include websites and e-commerce apps. It includes social platforms such as Twitter, Instagram, Facebook, Pinterest, YouTube and so on. The new era of digital marketing thus permits you to link with a wide range of groups throughout the world. Nowadays and in future digital marketing continues to break the boundaries ofgeography, demography, and language. E-commerce spending has expanded up to ten percent from the previous year, with the number of transactions expanding by seventeen percentages. Visits to the retail sites have developed, with Apple, Amazon, Wal-Mart Snap deal, Best Buy and Flipkart topping the list of some famous retail sites. If we go by a recent study, about a fifth of retail sales will take place online by 2021 in the Asia Pacific, with 78 percent of that coming from mobile, up from 64 percent in 2016. The study adds that retail will increase at a CAGR of 15.7 percent, to reach $1 trillion in 2020, up from $539 billion in 2017. Mobile phones have effectively outgrown the popularity of other digital gadgets. Smartphones are considered to be handy and thus has become a fundamental choice for all. With an expanding amount of components and other benefits, smartphones in the years to come would go ahead to lead the digital marketing industry. This would hence promote the value of digital marketing in the years ahead. The general online use of videos is growing at a fast pace, and it is here to stay. This helps in expanding the importance of digital marketing. The progressions you would find in the coming years for mobile and digital marketing is a push towards more video. Furthermore, videos would be progressively kept short to receive the short-term attention spans of the buyers. Social media keeps on increasing their engagement levels and guest base when Facebook keeps up a substantial lead in the group. The increase in the importance of social media adds strength to the significance of digital marketing. The number of ways in which individuals can now link with brands, and the technical complexity behind those approaches, has evolved entirely new jobs which did not exist a few years back. The demand for digital marketers has become huge to the point that the failure of several organizations to staff superior digital marketing experts is affecting their business. The new job opportunities continue to expand now and in the years to come, which states the increasing importance of digital marketing. Leads and prospects would probably place their trust in you in case they have possessed the capacity to check your credibility. Concerning digital marketing, you have all the social confirmation for it. From the analytics to case studies to testimonials, there is a great deal available to you to transform your leads into desired prospects now and in future. If You are looking for a BBA (Bachelors of Advertising and Marketing) Course in Chandigarh then you might want to check Chandigarh University. Digital Marketing is expanding at a rapid rate. It is the most preferred career option in the recent times, one of the most significant advantages of digital marketing is that you don’t require a specific degree to learn this course. People are now getting more aware of this form of marketing. With the number of job opportunities in this field is providing one can feel secure about his/her career. I hope all your doubts are made manifest through this article regarding the significance of digital marketing, so, no point wasting any more time, enroll in an institute and give your career the right direction.